Wouldn’t it be nice to travel the globe like a celebrity, visiting all the best places before the masses are clued into their fabulousness? Or conversely, making places fabulous simply by your presence there? Priceline.com recently rolled out a handful of vacation packages based on the filming locations of some of the year’s top movie releases – Murder on The Orient Express, Baywatch, Pitch Perfect and The Mummy, which feature celebrities ranging from Jonny Depp, to Michelle Pfieffer, Dwayne Johnson and Tom Cruise, among others. If a destination is cool, and interesting or picturesque enough for Hollywood and some of its top names, then chances are it will make for a pretty decent vacation for you as well. Priceline.com’s movie packages, which include hotel and airfare, are designed to allow travelers on nearly any budget to make a movie destination their reality, says Zimmerman. In other words, living like the characters in your favorite movies doesn’t have to come with a Hollywood price tag. 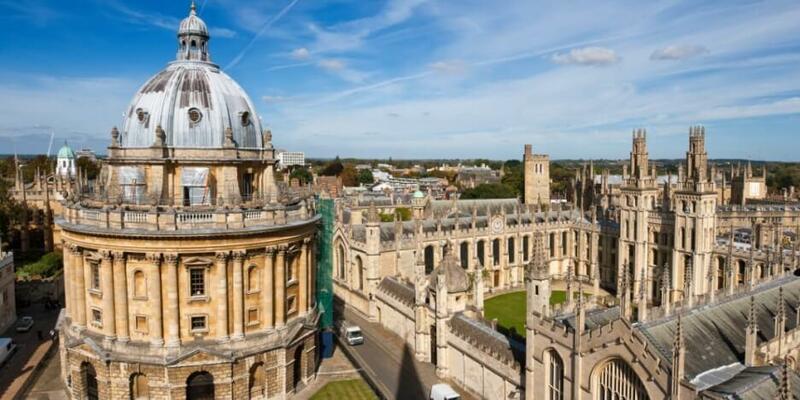 For the history buffs out there, Oxford, in central England, may be a small slice of vacation heaven. A community that dates back to the 12th century and revolves largely around the legendary school of the same name, a visit here is like stepping back in time. Must see sights include the Oxford campus of course, where you can explore the Bodleian Library (the school’s main research library and one of the oldest libraries in Europe), admire the Radcliffe Camera (an iconic domed building also on the campus) and see the inspiration for yet another movie, Harry Potter’s Great Hall at the school’s Christ Church. Beyond the university, there’s the iconic Oxford Castle, which was constructed in 1071 and is the city’s oldest building. If you do visit Oxford, don’t miss out on the tradition of high tea, served with scones and tea sandwiches at a handful of cafes throughout the community. Priceline.com’s Oxford Mummy package starts at about $893 per person, which includes airfare and a stay at the the three-star Ramada Oxford. The package is available June 13 through 20. Made famous in print by author Agatha Christie, the 2017 release of Murder on the Orient Express is a film that showcases some stellar acting talent as well as a variety of beautiful destinations. The film stars Johnny Depp, Michelle Pfeiffer, Judi Dench, William Dafoe and others, who are seen in locations across Europe including London, and Valle d’Aosta, Italy. Of particular note for our purposes however, is the additional backdrop of Malta. 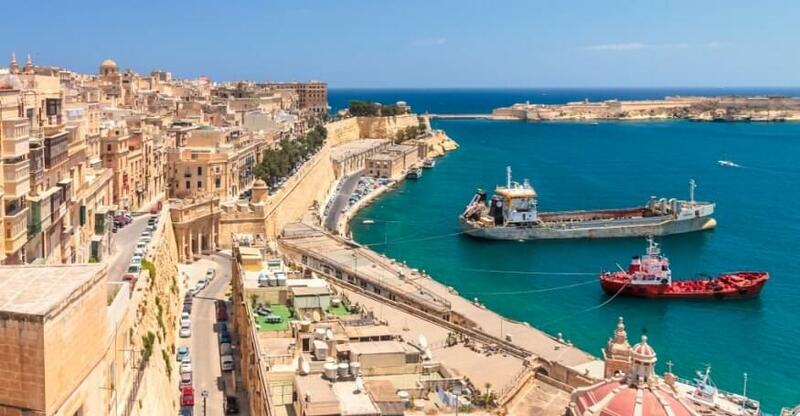 Priceline.com is offering movie vacation packages to Malta that range from $1,223 to $1,454 per person and feature stays in St. Julians at either the four-star Cavalieri Art Hotel or the five-star Le Meridien St. Julians Hotel & Spa. In between luxuriating at one of these two upscale hotels, there’s much exploring to be done. The island’s St. John’s Co-Cathedral is said to be one of the most important Baroque buildings in Europe. While the building’s spare exterior is less than impressive, the inside is a site to behold – nearly every inch is covered in gold, marble or paint. Beyond the cathedral don’t miss taking in the sights via a walk along the Valletta fortifications wall or participating in a Grand Harbor boat tour. The harbor is central to Malta’s history including being the location of a great siege in the 1500s and playing a role in the events of WWII. This package is available June 21 through 29. Atlanta has long been a hotbed for movie filming, so this locale is not exactly under the radar. But with that said, Atlanta is a popular vacation destination, rich with history, culture and an outstanding dining scene. Some of the city’s top sights include the famed CNN Center, the High Museum of Art, and the Martin Luther King Jr. National Historic Site. A few additional not-to-miss attractions include the fascinating Atlanta History Center and the newly opened National Center for Civil and Human Rights, which showcases the U.S. civil rights movement and the global struggle for human rights. The Priceline.com movie vacation packages focused on Atlanta start at $372 per person, which includes airfare and accommodations at the three-star Hilton Garden Inn Atlanta Airport/Millennium Center. If you prefer a hotel in the heart of the action in downtown Atlanta (and who wouldn’t), Priceline.com’s alternative package for this destination includes a stay at the four-star Atlanta Marriott Marquis. The cost starts at $470 per person. This trip is available August 18 through 21. A natural choice as a backdrop for a movie focused on lifeguards, Palm Beach County is home to a variety of lovely public beaches (names to note include Ocean Reef Park, which offers snorkeling at a reef just offshore and the lesser known gem Gulfstream Park, a great option for the crowd averse). Beach and sun are not the only charms here however. In the Boca Raton area, where Priceline.com’s movie getaway package is based, one of the top sights is the Gumbo Limbo Nature Center, where naturalists lead programs for children and adults including a popular turtle walk and hatchling release program. Boca Raton is also known for its designer shopping and trendy restaurants. Mizner Park meanwhile is a local landmark. In addition to being home to the Boca Raton Museum of Art, the park emphasizes architect Addison Mizner’s love of Mediterranean architecture and visitors say it has a tropical garden vibe. The Priceline.com movie packages to this destination start at $255 per person and includes staying at the four-star Wyndham Boca Raton. For $307 per person, travelers can also opt to stay at the Renaissance Boca Raton Hotel. The trip is available June 2 through 5.